Congratulations! You found this “hidden” page! The 3-part series plus bonus content is below, but we may take it down at any time. Grab the PDF and to have your own permanent copy. This is the most requested published document comprising these topics EVER. The following content is copyright 2016 protected and may be taken down at any time. Members of our exclusive mailing list may download the PDF. In this special report from RadioActive Trading we’ll peel back the curtain and reveal the real goods. This 3-part series (plus bonus content) is some of RT’s most requested information about how to beat the markets. Losing money is like getting sucker-punched in the privates. No one wants to lose. Even more, no one wants to be trading an account that’s up, and then get that sucker-punch that brings it down again lower than where it was before. Sadly, most folks look for the solution of losses in the market in the same, sad, WRONG place: they look for the solution their charts. They look for the solution in their newsletters. They ask their broke brother in law investing. Shoot, I’ve even had people so desperate to protect their accounts that they’ve resorted to “financial astrology”.. the belief that the day your company went public determines the stock’s “sign”… and there are gurus all too happy to sell moose pasture to the financial fanboys. But that’s not you. God, no, let’s hope that’s not you. No, YOU are ready to emerge from the morass of bad advice and worse results. YOU are ready to stop looking for the newest technical indicator, or formula for picking next “star”… you are ready to graduate from the ranks of those gamblers… and instead become professional traders. So join me in and exercise, an entertaining but informative little jaunt from RadioActive Trading. This treatise is the product of three of RT’s most demanded recent blog posts, and the comments and questions that came about because of them. All bound in one PDF are three posts that will challenge the way you’ve thought of trading and investing til now, and introduce a whole way of thinking ever after. The first post is about position sizing, that elusive formula that answers the question, “how much?”. In that post we prove that even a winning system can bankrupt you if you don’t pay attention to how much to put into each trade. The second post takes us back a step… because before we can really determine how much is the ideal amount ot risk in a trade we have to calculate the expectancy of the system. …only ONE of those elements are in the absolute control of the trader. Fortunately, that’s all you need to create “edge”… to carve out an “unfair” advantage in your trading. Finally, here’s how we determined the BONUS content: the biggest question we had was about the “RedLine Curve”… one of three keys principles of RadioActive Trading. After reading this special report, your next step will be to really look into how to do these kinds of trades. We’ll provide the framework by walking through all the steps with you in an exclusive webinar. SO without further ado, here is this special three part series and report! There is one universal, essential step to greatly improve your trading… a master key if you will. Most folks search high and wide for this so-called “magic bullet” to improve their trading results. But before revealing the secret ingredient to improve your trading… let’s talk about what won’t do the trick. I may slay a few sacred cows here, so don’t get too mad at me. Spending more time on “technical analysis” may not improve your trading. It’s only a small piece of the puzzle. may happen in the near future, remember the pattern you’re looking at is only an indication. Unless you have a 100% accurate system… (and if you did, there wouldn’t BE a market 😎 )… you will always have drawdowns. Beside the occasional hiccup that stops you out of a trade that you should have stayed in… or the wrinkle that got you into a trade that you should have stayed out of… there is always the dreaded “Black Swan Event” that proffers devastating losses without any warning whatsoever. 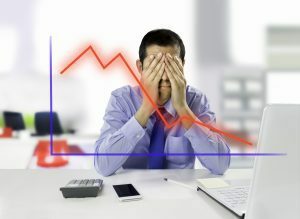 It’s not whether or not the drawdowns will happen… it’s how your account is set up from the beginning to weather those drawdowns that’s important. Here’s the other thing that most traders mistakenly believe will improve their trading results: Fundamental Analysis. 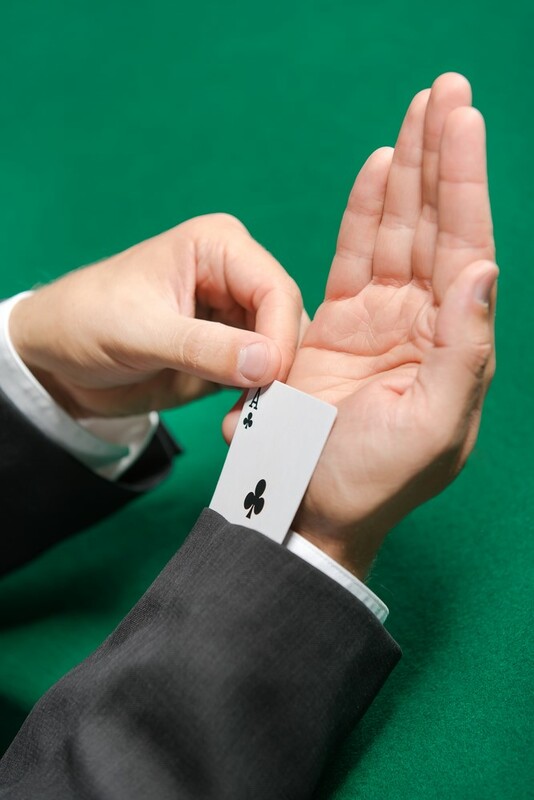 Picking ‘good’ stocks to own… or shorting ‘bad’ stocks… is likewise a guessing game. I like to point out that in 2008, AAPL had a 57% LOSS… while at the same time its profits (no, not its sales… profits) went from 3.5B to 6.0B. So was Apple Computer an, ahem, “GOOD” company? Depends on who you ask. AAPL made plenty of money for itself, but the stock market version cost investors over half of their nest eggs. So is the key to improve your trading fundamental analysis? Not if history is any kind of guide. Just because a company makes money for itself is no guarantee it will make money for YOU. Perfectly ‘good’ companies can cost their shareholders dearly. Likewise, extremely BAD companies can make money for traders in the near term… as the irrational climb of dotcom companies in the late Nineties so clearly illustrated. Bottom line… there is something much more important and effective at work for a trader’s long-term success. So what is the key to improve your trading over both the long and short haul? The answer can be found in a actual case study that I’ll dramatize here. 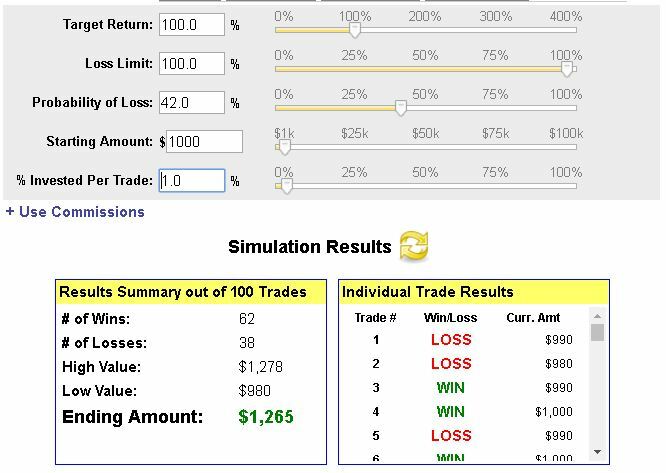 In a landmark experiment, legendary trading coach Ralph Vince gave a virtual $1,000 to forty (40) traders. 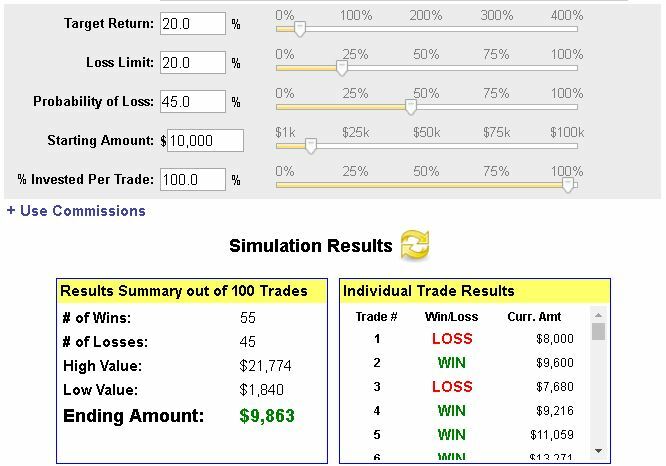 They were given a simulated trading game that was skewed in their favor: each trader would win 60% of the time with even-money bets. 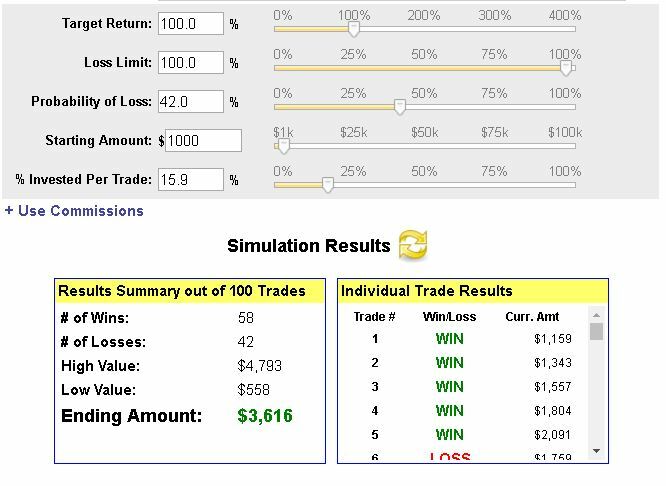 BUT, just like the real world, each bet had a random chance or winning or losing so it’s possible to have some winners or losers string together in a row… but ON AVERAGE, the trades would win 60% of the time. These traders were instructed to play for 100 times, and the only variable (paying attention?) between the participants was that they were all allowed independently to decide how much to bet on each play. Of the forty traders, how many do you suppose lost money? 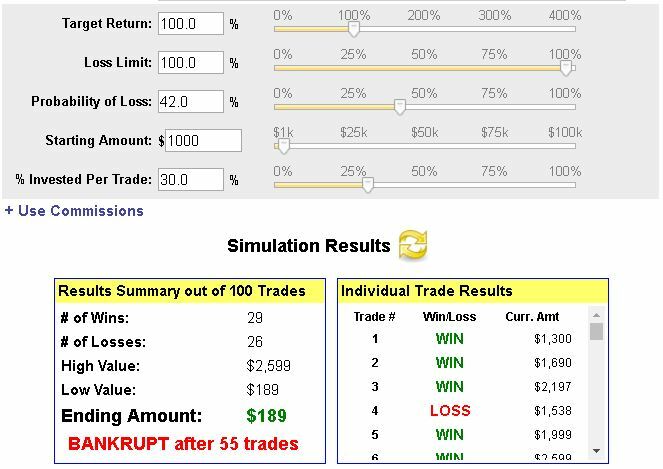 Would it surprise you to find that 95%… 38 of the 40 traders… lost money in this very winnable game? Q: How do highly educated, supposedly bright people lose money… when they’re guaranteed to win 60% of the time? A: By not exercising a tight money management, or ‘position sizing’ plan. How Can Very Smart People Improve Their Trading? Strangely, the master key to trading systems appears to be knowing exactly how much capital to put into each trade. This MASTER KEY to improve your trading is called “position sizing” or “money management“. I’m not a betting person, except when it comes to educated risks taken while trading. But if I WERE a betting man, I’d lay odds that 38 out of 40 Ph.D.’s that Ralph Vince tested had no plan at all. Maybe some were conservative for a while… got impatient after seeing wins mount up and said, “By golly, I’m going to start betting MORE” …just in time to set themselves for a big loss. Ouch. Or maybe others took a pretty good loss on the chin in the beginning… then got too gun-shy to ever make it back over the 100 trades. …EVEN when the odds are stacked in your favor! When the ‘greed and fear’ emotions set in, they cleaned out the pockets of dang near every very bright, well-educated trader. 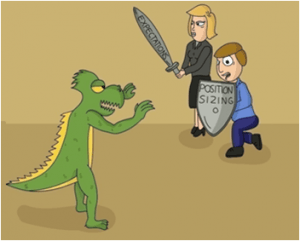 How Can Position Sizing Improve Your Trading? Two of the forty traders did do well. Now, we might just say those two were ‘fortunate’… but remember they had the exact same game as the other 38 Ph.D’s. The answer lies in utilizing a structured game plan for position sizing. 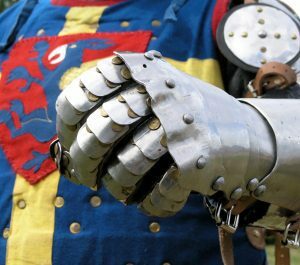 With the sword of Expectancy and the shield of optimum Position Sizing, our heroes vanquish the dreaded Martingale! I’d guess “Benedick” was conservative and bet $10, every time. He correctly guessed that with 100 consecutive bets and $1,000 to start with… and a 60% chance of winning every time… he could not lose over the long haul. Total won = $200, or a 20% gain on the $1000 stake. Total won = $2000, or a 200% gain on the $1000 stake! 38 Ph.D’s managed to take a winning game and make it into a fool’s errand… But our heroes Benedick and Beatrice did well. 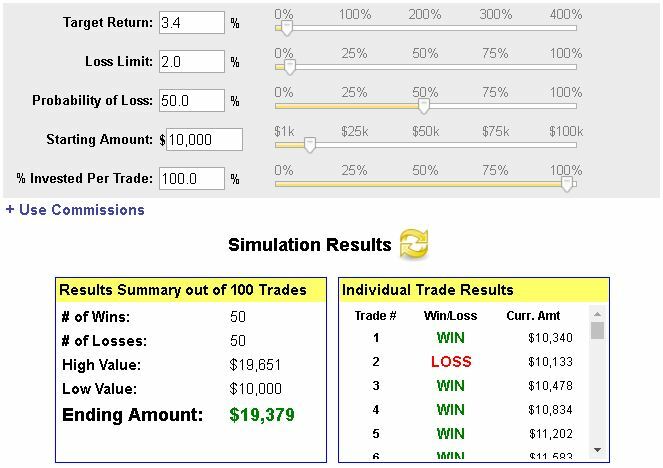 Simply adjusting the amount entered per play changed the long-term outcome. Improve Your Trading by Forcing Ideal Sized Trades- F.I.S.T. Let me point out something in the above example, in case you missed it: There was simply no opportunity here to improve your trading performance by spending time and energy on research. No amount of fundamental or technical analysis would have improved your trading results in this game… only position sizing. Controlling the betting size was the only variable. Yet that one variable was the difference between bankruptcy and wild success. Now let’s apply what we’ve learned to your own trading experience. To simply improve your trading, you may need to do no more or less than limit your position sizing. But to revolutionize your trading results you’ll need to OPTIMIZE your position sizing. In our tale of the two winners, Benedick and Beatrice… one of the traders exercised caution while the other was more aggressive. BOTH exercised discipline, yes, by using a system for their bet sizing. 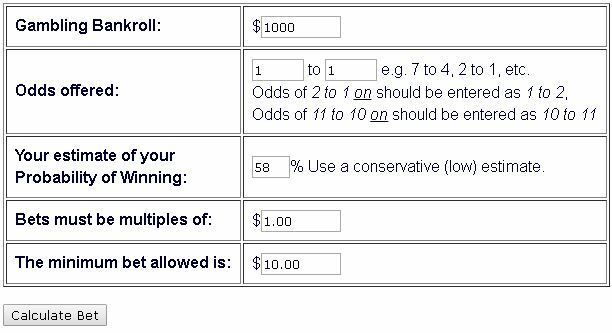 But by using ancient scroll (okay, actually this free Kelly Criterion Calculator) he simply bet the ideal amount for whatever the current odds were. Let’s try the same play, with the same circumstances… but in this case, only bet 20% of whatever the current bankroll is. All three players begin with a $1,000 stake. Betting $10 each time, Benedick makes $200, or 20%. Beatrice makes $2,000, or 200%. But Dogberry… just a simple guy following simple rules… knocks it out of the park with a $6,490 gain on top of the original $1,000! Optimizing his bet size is what did the trick. To the tune of a whopping 649%. In Dogberry’s example 20% of whatever was in the pot was the optimum bet size. But that’s not to say that the ideal amount percent of your bankroll to wager should always be 20%. In the sterile world of a simple, even-money bet with 60% chance of winning, the Kelly Criterion ideal position size was 20%. Actual trading is, ah… more complicated. 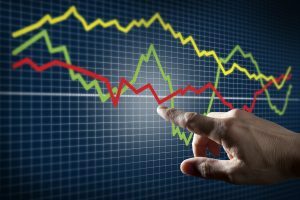 There are a number factors to consider: the odds of winning, the likely payouts, or (gulp) size of the losses. All these combine to determine the expectancy of a trading system. Your expectancy then tells you how much to bet, say 27.5%, or 6.25% of your bankroll. Some expectancies discourage you from betting at all… There are some trades you should pass on no matter how tempting the payout seems. Failing to understanding expectancy or position sizing is the reason the most traders lose long-term. But understand expectancy and obey optimum position sizing… and you’ll rule the world. In a future RadioActive Trading post we’ll explore how to apply expectancy with the F.I.S.T. principle — Forcing Ideal Sized Trades — in the market, with actual trading scenarios. We’ll apply the Kelly Criterion to hedged positions; for example a bear put spread with a 19% payout but a 10% chance of catastrophic failure. What do we bet then? 6% of bankroll?? 40%? Or stand aside and wait for better opportunity? In the next post we’ll show you how to calculate Kelly for the best chance for long-term growth. We’ll learn how to take a plain-vanilla stock that has a 50-50 chance of winning, and use one simple trick to change its expectancy drastically in your favor. Using this simple hack we’ll see how this would have impacted your trading results. Would you have turned a losing year into a winner? Changed lackluster winning results into superstar status? In the next post next Wednesday we’ll answer this poser: Ask yourself, if last year’s loss/win was the same in respects except one… that only the losing trades were changed from whatever they were to just 2-5%… would that change your results for the better? See you Wednesday, Traders. Until then, hit us in the comments. Oh, and if you think this article will help a friend, BE a friend. Share it on LinkedIn, Facebook, and Twitter. Free RadioActive Webinars and On-Demand Videos. Ask about our Premium Videos as well! Even when you have a trading “edge”, it’s possible to lose money. The principle of “position sizing” is more important than any stock-picking or trade-timing system. But it’s impossible to get a handle on optimum position size without first calculating your trading expectancy. 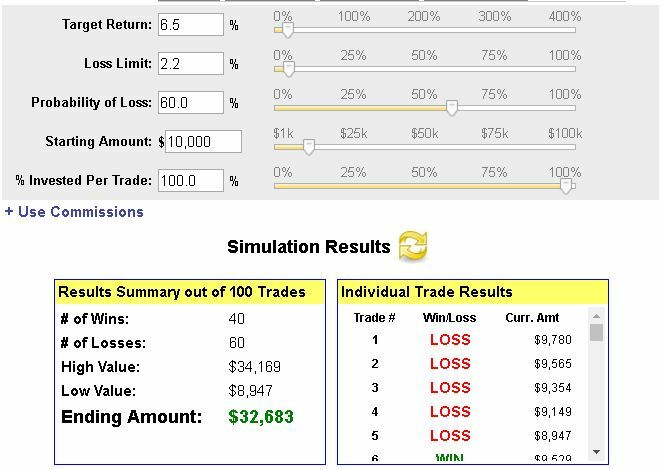 In last Wednesday’s post we saw how sometimes a “winning” trading system can end up losing real money, just by ignoring the principle of position sizing. 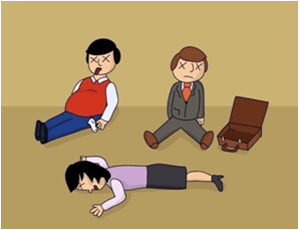 We saw how in a landmark case study, 40 Ph.D’s were given a very winnable game… but 38 of them managed to louse it up simply by failing to use a system to manage the size of their bets. 2 of the 40 Ph.D’s made money. Their success had nothing to do with fundamental or technical analysis, but rather controlling their bet size. In that last post we introduced ‘position sizing’ to fix the problem of getting KILLED, even when you have the advantage of “edge”. But we didn’t fully address… actually, we only TOUCHED… the idea of HOW to optimize. The idea is that a winning trading system can be tweaked… to become even winning-“er”… by optimizing the position size. But let’s back it up a step. How do we determine if we’ve got a winning system in the first place? How do we figure out if the game we’re playing has a winning edge… to begin with? This question has to be addressed first. THEN we can talk about this ‘optimization’ business. The answer is in calculating Trading Expectancy. First we’ll explore ways to calculate our trading expectancy. THEN, we’ll learn how to USE trading expectancy to determine the optimal position size. Trading Expectancy: Do You Have an “Edge”? This is the formula: [NoW X Aw] – [NoL X Al]. In plain English, it’s (# of winners, times average win), minus (# of losers, times average amount lost). Assuming a static position of $1,000 per play, let’s plug in the formula into an actual trading record and see what the expectancy is long term. He wins 5% when he’s right, which is 80% of the time. He loses 20% when he’s wrong, which again is 20% of the time. 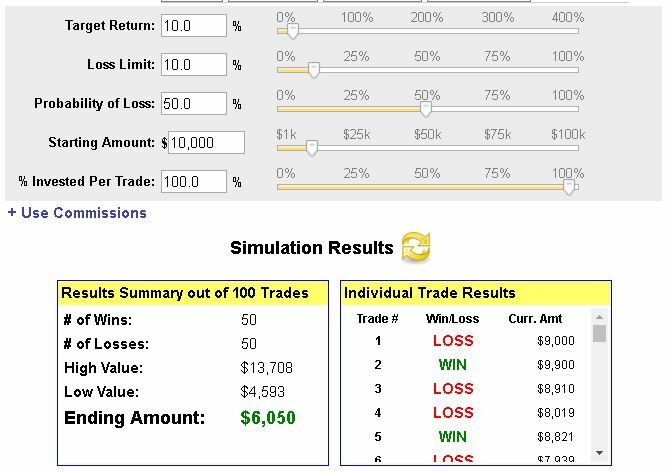 Trader A plays $1,000 five times. He should not play, or should not continue playing this system! She should continue playing this system! 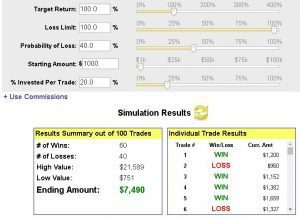 There’s a surprising truth revealed in these examples: in a given trading system it’s possible to lose more often than you win… but still win overall. Conversely, it’s also possible to be right most of the time…. but still get killed. And that edge is dependent less on how often you’re right, and more on how strictly you control your losses when you’re wrong. Let’s build our trading expectancy profile by tacking the trickiest part: the probability of winning. In any trading system, the probability of a trade succeeding is an elusive quantity. One way to estimate probability is to use the delta of options. Let’s use a popular spread trade for an example. Suppose we have a bull put spread in place, say the August 2016 $50/$52.50. A maximum of .40 cents profit may be had… but there’s a chance that the spread might go the other way near to expiration. If that does happen, the max loss is $2.10. Now, the risk/reward ratio, while important, is not the whole story. We need to know the probability of success. Fortunately the stock is trading low enough that its “delta”… an approximation of its likelihood of closing in the money… is about .90. It’s 90% likely to stay down and pay out the .40, and 10% likely to fail, potentially costing us (gulp) $2.10! Chicken dinner, looks like a winner! This is one way you can use to estimate probability. Like it or not, every system has the human element, even the ‘black box’ boys. I happen to think the best place to start calculating trading expectancy is one’s own record. The stock market is rampant chaos. The only quote/unquote “order” (cough, cough) that it has to offer… is the order that you bring to it. For that reason, I challenge you to do what I do: bring “just the facts, ma’am…” and be ruthless. You might realize you’re sitting on a gold mine… or FOOL’s gold 😉 but it least you’ll have a basis to improve your trading results. Back-test or paper trade your system 100 times: how often are you are right vs. wrong? 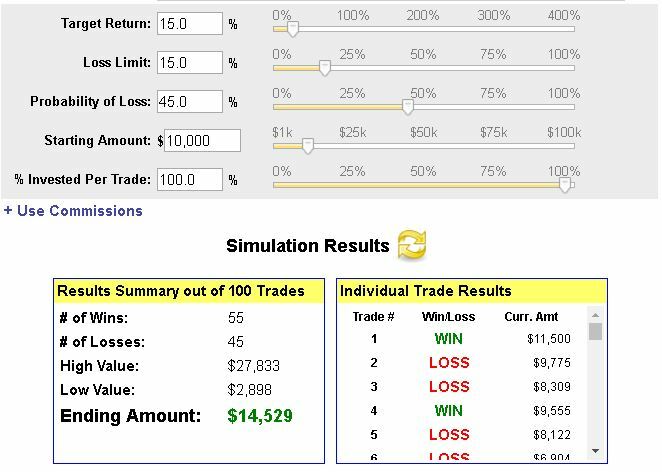 Back-test or paper trade your system 100 times: how much is your average win vs. loss? This will give us the unvarnished truth, whether or not YOUR system makes sense to continue to use… or if it’s time for a change. Negative numbers are bad news. So is zero. But a ‘plus’ number… spendable cash… muy bueno. Positive expectation is an absolute must. When your system’s calculated expectancy is negative, you should NOT bet… or if you can, take the other side of the bet! Trading without knowing the expectancy of your system is like playing Russian Roulette blindfolded. If you don’t know the expectancy, it’s better just to sit out trading until you do. If you did get zero or a negative number for your trading expectancy, don’t despair. You can often change your expectancy to a positive number by following the steps in our free webinar on August 9. Realize that getting to the positive number only gets you partly the way home. Trading expectancy, as important as it is to trading success, is only a portion of the equation. After using steps 1-4 above ^ to determine expectancy and getting a positive result… continue to step FIVE. It’s time to optimize your position size. …it’s important to NOT get too big for your britches. Size matters (AHEM!) and even a winning game can turn into a disaster. Again, hearken to the tale of the 40 Ph.D’s… you can have a trading system with an edge and still get roasted alive. Remember how in this experiment, 40 very bright people were handed a virtual $1,000 and a game in which they HAD the edge. They were handed a positive expectancy game, yet 38 of them still managed to lose money. But as good as those results are, they pale in comparison to an dynamic, optimized, approach. What’s Dynamic Position Sizing, and How Can I Make More Money with It? Dynamic position sizing means that as the results unfold, adjustments are made on how much dollar-wise to play. Win or lose, the wagered amount is adjusted by percent of what’s “in the pot”, instead of a simple predetermined dollar amount. Bets that are too small get lackluster returns on a system with edge; likewise bets that are too large end up in disaster. The answer is just in the middle. Like Goldilocks, this trader likes to play it just right. Think again to the 40 Ph.D’s, 38 of whom got KILLED… and 2 of whom got decent returns. 20%, 200% returns? Try 649% for “size”. That’s the advantage of risking the ideal size amount. Are compounded returns like this about possible? Yes, IF we learn the secret of dynamic position sizing. Let’s go back using delta to estimate probability. Say you have a $71/$72 bull call that cost $0.50 to put on. Crash and burn, you lose it all. But if your upper call is in the money at expiry, you cash in $1.00, doubling your money. So, even money. $50 per contract, lose it all or spend $50 to make $100. And your delta is .58, or 58% likely that you’ll win. Let’s play three bears, shall we? But this one is juuuuuust right. 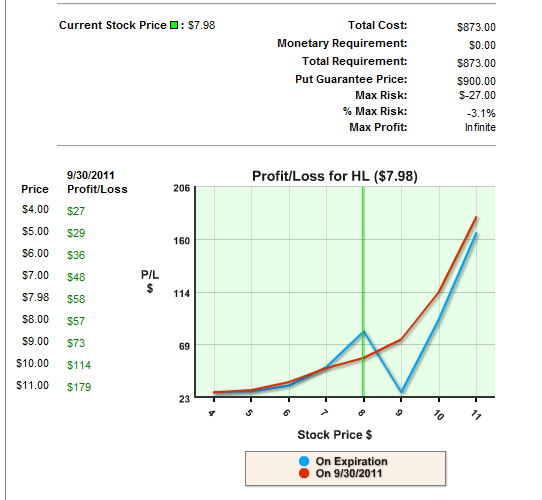 And here’s the screen shot of the recommended ideal percentage of your stake to use. 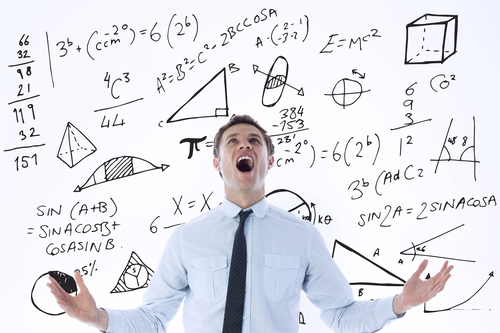 Use the Kelly Criterion to give you the best shot to optimal growth. 1:1 payout, 58% chance of winning. Kelly spits out 15.9% as the ideal bet! Now, even-money is kind of simple, but it’s rare that your computations will be that simple. 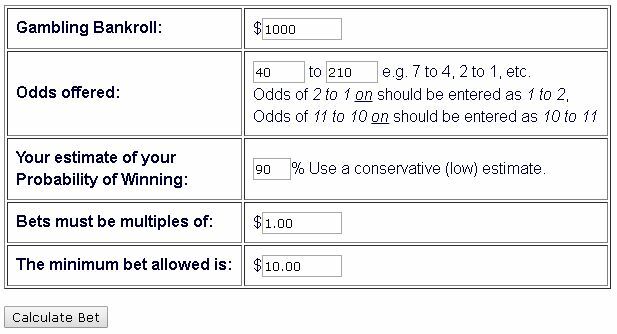 Before we look at the result that the Kelly Calculator returned, consider that you can’t always conform to what it says you should bet. The unit of margin for each spread is $250. Since $375 is the recommended starting amount, and $250 is the unit of margin to trade, you go with the lesser amount. Instead of rounding up and doing two spreads risking a total of $500, do only one $250 spread on this round. Remember, the surest way to shoot yourself in your foot even if you have the “edge”… positive trading expectancy… is to over bet. So when the Kelly Criterion doesn’t yield neat little packaged amount to risk, round it DOWN. It’s not too late to improve your trading. 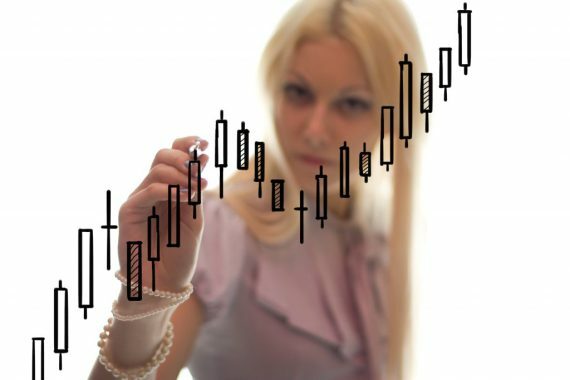 Learn to SKEW trade expectancy! The glaring problem with all of this is that it assumes a winning system in the first place. We can’t get very far with optimizing our trading system, if it doesn’t have a positive expectancy. Why hasn’t this problem been solved? Well, we’ve been looking in the in the wrong places again. Fundamentals, picking stocks. Technicals, timing trades. That just isn’t cutting it. But better questions get better answers. Is it Possible to Skew Trading Expectancy? Is it possible for you to add a tiny tweak to your trading… one that would make you depend less on being right and more on trading right? the ONE factor you can exercise total control on is the average loss. If you had the same picks last year, and same timing… but the losing stocks had a cap on them of 2-5%… would it have made a difference to your end balance? 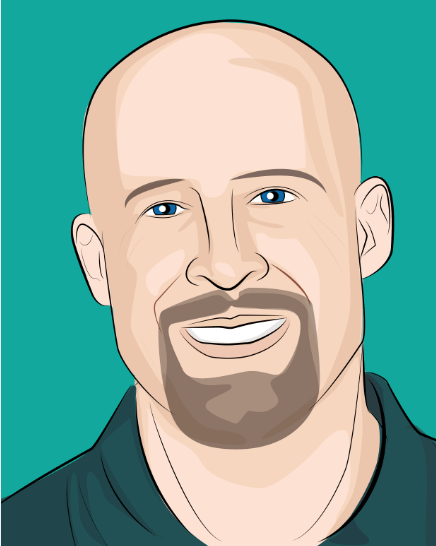 92% of the folks that come to my free webinars say yes. And when I show them how silly-simple it is to do it… to adjust your trading expectancy drastically… well, most folks ask to watch it again. All be revealing how to convert your trading expectancy to a much better number than it is now, on next Wednesday’s blog. OR, you could get a head start and head over and register for our next free webinar get the details sooner. How can you trade with the so-called winning “edge”? In this final installment of this 3-part series, we answer this question. In just six minutes, this step-by-simple-step procedure will give your trades the coveted trading edge. Using the “RadioActive Profit Machine” technique, any trader can positively change the expectancy of their trades… putting the odds on their side… because of how the RadioActive Method works to skew every starting position in your favor. The PROBLEM– why do most traders end up losing, even the smart ones? What Gets in the Way of Trading Edge? The “Martingale”. The villain in too many traders’ nightmares. Every trader struggles with the “Martingale” effect which dooms most trading systems before they launch. I’ve personified (mm, maybe monster-ified) the Martingale before in other posts in these series. The Martingale’s sinister mission is to destroy your nest egg, dealing death by a thousand cuts. Let’s look a stock whose signature implies that it could gain OR lose 10% in the next month. Furthermore, let’s assume that it’s even chances: 50/50 either way. Even though it seems that over a long enough time horizon everything will even out… it won’t. This is because of our friend the Martingale. Now what you have is $9,000. But then you make +10%! Meaning that you have just $9,900. When you had started with $10,000. …but if the $11,000 takes a -10% hit, it’s back to $9,900 again. Now, take that principle and repeat the process 100 times. Hear the sickening sound of crunching bones? That’s your savings, dude. Why Can’t YOU the Get “Edge” Trading? Many investors mistakenly thing that higher payouts will result in a better payday. But think about it: higher returns ALWAYS come with higher risks. 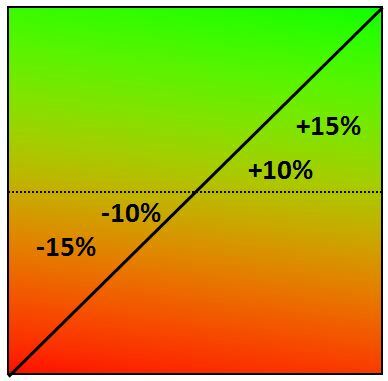 What and if we choose stocks that could win or lose by 15% instead of 10%? Even probability, 50/50… coupled with even odds (1:1 risk/reward) will eventually bleed you dry. Making the percent higher will only speed the process. We all like to be right. In the last scenario we’ll get the EDGE all right; all we have to do is be right more often! At first blush, it seems that all you need to do is be right more often. And it might seem to make sense at first. Really. But let’s consider TWO big “IF’s”. Number One: IF your bright new analysis just turns out to be luck, that 55% winning record might be pie in the sky. Number Two: IF you are indeed right more often than you are right, you can still get caught by the Martingale! Awww DANG. 20% gains, 20% losses, winning most of the time… but the Martingale wins AGAIN! Those slippery equations that we showed you in parts One and Two prove that being right won’t necessarily make you a winner. Repeated iterations just make the problem worse while we’re trying to tweak our systems. In fact, we like being right (or are afraid of being WRONG) so much that the Martingale sniffs out traders in denial… and ruins them by the bushelful. So what’s the solution? If attempts to get a trading edge by better technical analysis, or fundamentals DON’T work, how can a trader win? I’m going to make the unpopular assertion that you don’t need to be right more often to make it as a trader. Trading “Edge”… without Being Right More Often? They TRY to be RIGHT more often. And it’s a lot harder to do than you might realize. There’s a better way to skew your long-term results. …or pulling your hair trying to make sense of trendlines and indicators. This question reflects the state of mind of probably 95% of the investing public. But as we’ve seen already, your account doesn’t always do better just because you pick more winners. And it isn’t easy to pick winners more often in the first place. Better questions get better answers. Same trading record as before but look at the performance! …instead of breaking your back trying to be right all the time? Trading Edge probability against. 15% +/- converts to 6.5% vs. 2.2%. Even if you were losing most of the time, you’d still do well! looking at your trading a new way. Rather than trying to be a control freak, trying to BE right… instead, let’s TRADE right. By using a structure that keeps possible losses to single digits, we change the odds. Before, trading a stock that could go 10% up and 10% down, and trying to be right more often didn’t perform great, even if you could guarantee that you’d be right more often. NOW, even if you LOSE more often than win, trading “edge” covers you. The unique structure of the RadioActive Profit Machine… a “married put” trade that breaks all the traditional rules around how a married put trade is supposed to be assembled… can make it possible for you to hit some serious home runs. Now today’s examples were more or less easy to follow. A stock goes up ten, fifteen… a stock goes down ten, fifteen. …and also, sometimes the trading muse smiles on you. RadioActive Trader Mike Chupka had one stock, Silver-Wheaton (SLW) totally blow its doors. Nice job picking SLW Mike. BUT… in the same twelve month period another of Mike’s picks, Talisman Energy (TLM) absolutely went in the toilet. The stock went down by more than 50%. Yikes. So Mike’s 65%+ WIN would normally be eclipsed by his loss. Think about it: a 50% loss takes a 100% win to recover… double your money after losing half of it, and you’re right where you started. So Mike… though he picked a 65%+ winner… would have been KILLED by the 50% loser! The POWER of Skew (not to scale). No matter how low his stock goes, Mike is protected to single digit percents. 4.5% is this most he lost. But the sky’s the limit when he catches a winner! This 58.9% winner was caught using the same setup on 300 shares. But not so fast: Mike was using the RadioActive Profit Machine setup. So no matter what what happened, he wouldn’t risk more than single digit percents. His 50%+ loser only *actually* lost him 4.5%. …so he “only” made 58.9%. That’s on 300 shares of stock and 3 put options, a capital investment of $6,450. There’s no theoretical limit on how much a stock that’s protected this way gain. But there is a tight, single-digit limit on how much you can possibly lose. 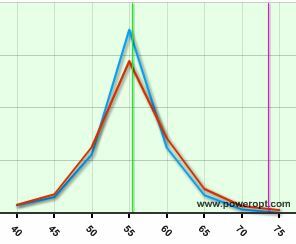 SO, skewed expectancy… how do ya like me now? I WANT the “Edge”… So What Should I do NOW? So, dear Reader! 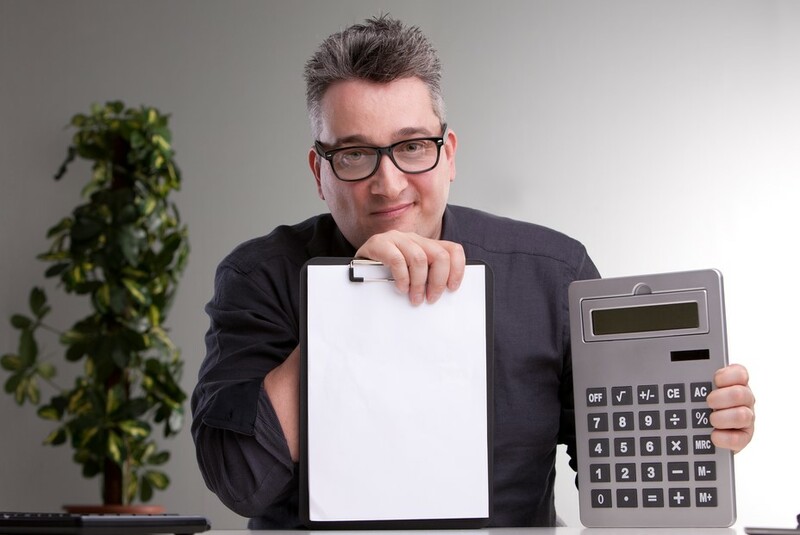 Let me challenge you to think about what “skew” means to you and your account… now that you know the one factor that’s more important than any other: controlling losses. Think about YOUR trading record in the last twelve months. …would you be in a better position today than you are now? …you NEED to get this full report. To get journey to bigger profits started, come to the next free webinar. OR, if you’re really in a hurry to STOP losing money and instead skew your chances of winning over time, grab The Blueprint. It comes backed with a 100% money back guarantee… so it’s likely the first every risk-free trade you’ve been offered. Buy now you’ve been realized that the way to succeed at trading is not newest technical indicator or the juiciest gossip from your financial newsletter. You know that success in trading comes to ONE thing and one thing only: trading a positive expectancy system. Vegas knows this; it’s the “house edge” that pays for all that architecture and the light bill the goes with it. The problem is that it’s hard to know when you have the “edge”… or better yet, how to create it for yourself. We teach how to do just that in The Blueprint available at RadioActive Trading. In the first post, we discovered that even a “winning” system… a system with “edge”… will FAIL if position sizing is ignored. Our 40 very bright traders got mostly cleaned out, even though they were handed a winning system that a fifth-grader should have been able to operate profitably. Only the two traders that controlled their position size did well. …how do you determine how MUCH to play in each iteration of your system to ensure optimum growth? The problem is (guess what?) YOU CAN’T KNOW if your system has “edge”… UNTIL YOU’RE ALREADY PLAYING your system!! So if you’re trading stocks and options, and don’t know yet if your system is going to win in the long haul, it’s a chicken and the egg proposition. Every trading system has rules for entry rules for exit, rules for what kinds of stocks you’ll select. The market is rampant chaos; the order that is has is the order that YOU bring to it. 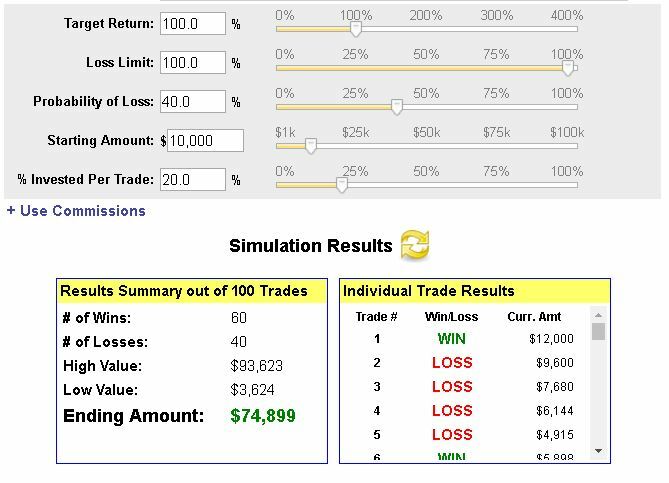 IF while you’re trading, you collect statistics about your wins, losses and amounts… you have a fighting chance. Build a solid record; in time and with enough data, you’ll be able to calculate your system’s expectancy. That is, if you don’t go bankrupt while figuring it out. Again… ideal position is not too little and not too big. Trading without yet knowing what the expectancy is is kind of like walking blindfolded toward a cliff: the closer to the “edge” you get, the more you earn. If you walk to close to the edge… it’s curtains. The safest way to give yourself a snowball’s chance is to somehow skew the equation that calculates expectancy. At that’s where the RedLine comes in. When I first offered the PDF with all three posts about risk/reward, position sizing, expectancy and SKEW… the biggest and most common question was about the so-called “RedLine”. First, it works much better than a stop order to limit losses. But second, it saves lots of money in terms of time decay. RED in RedLine stands for “radioactive exponential decay”. The “radioactive” in RT refers to the fact that radioactive elements decay in an exponential way. But the curve technically goes the other way. A radioactive material decays quickly at first, then slows down. But the time value in an option is opposite; it decays very slooooowly at first… then speeds up like a runaway train! With only 30 days to expiry the time value is hemorrhaging..
We asserted before that in the equation that determines trading expectancy, the only factor we in which we’re in total control is the possible loss. 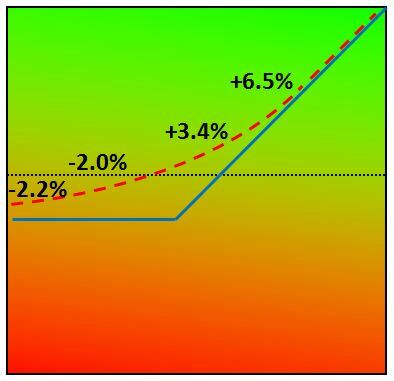 “Skew” happens when we take what could happen with the stock and absolutely curtail the possible loss, while leaving the upside potential intact. 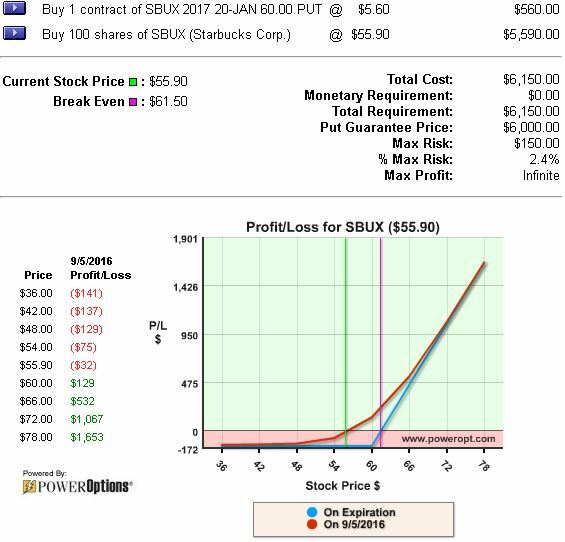 Thus, in the SBUX example what was a possible 10% move down or up turns into a 3.4% move up, but only a 2.0% move down. 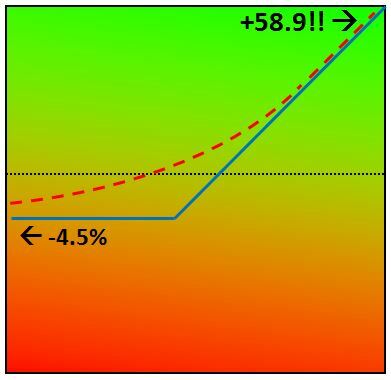 The skew is pronounced if the move is bigger: a 15% move either direction becomes 6.5% gain versus an only 2.2% loss! That’s nearly three times more gain when you’re right than when you’re wrong. If the move is bigger still we’re looking at a maximum of 2.4% loss, ever, while the upside move could result in 24% or more. That’s a 10X advantage! This skewing of the expectancy is necessary to ensure an edge in your trading. So Why a Put Option with Longer to Expiry? 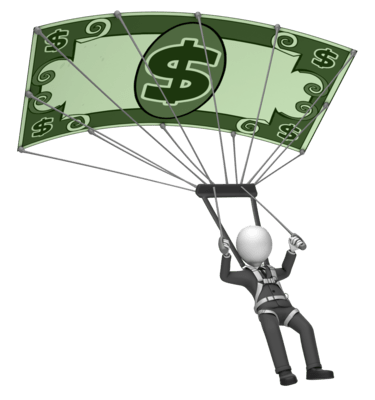 The in-the-money put option, with a longer time to expiry that we use in a RadioActive Profit Machine kind of does double duty. First, it protects way better than a stop order ever could: rather than generating a fickle market order that hands you whatever the market is dishing out, it gives total protection. But more importantly, the fact that you’ve selected a put option with a long time to expiry saves you time decay. Say you’ve decided to protect your stock for a period of four weeks. You could go cheap. Buy an out of the money put option with only four weeks to expiry. The dollar amount AT RISK is pretty comparable. But that makes for a certainty that all the time value is gone quickly. 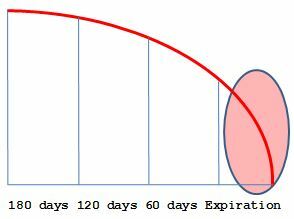 On the other hand, if you only intend to hold for 30 days, that doesn’t mean you have to buy a put with only 30 days to expiry. See how differently the option behaves? When we buy time we want to buy it cheaply. When we sell it, we want the best deal (for ourselves) also! When you look at how little money it costs to insure your stock in the near term, and how well that protection serves you, it’s pretty evident that you should prefer the RadioActive option. But here’s a thinker: if buying an option with a long expiry decays only a small amount… what about the selling side? Wouldn’t it be advantageous to sell near-expiration options? Let’s use most obvious example: a near-expiry covered call. 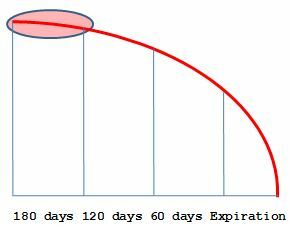 Compare the amount of time value your long-expiry put may lose in a 30 day period. Now contrast that with the amount you’re guaranteed to gain by selling the near-expiry time value. There are TWELVE “Income Methods” in The Blueprint, and only the first one is selling a covered call. Some Income Methods do better in a rising market… some on a falling market… and some do best in a sideways market. Forget the one-trick pony of “the covered call gurus”. Profit Machine, coupled with twelve Income Methods! 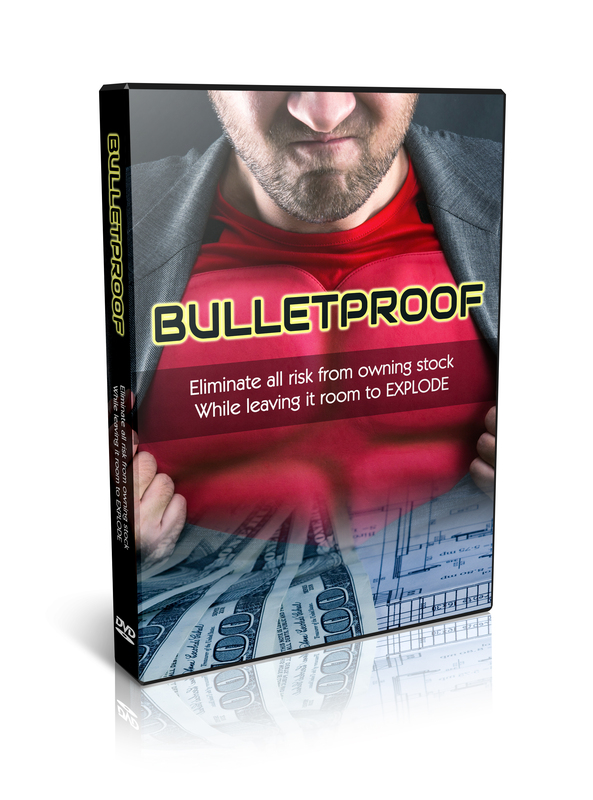 Imagine what might be possible for YOU, that RadioActive Traders all the world do all the time: BULLETPROOFING. That’s the enviable position created by capturing enough premium via the Income Methods to totally offset the cost of your put. In that situation, the put is “paid for”… ensuring total protection… but leaving the upside with virtually unlimited profit potential. Learn more about Bulletproofing in The Blueprint. The Blueprint is the flagship product of RadioActive Trading. …RadioActive Traders enjoy the privilege of exploring all kinds of entry, exit, and stock picking systems. What they WON’T have is a lot of worries about getting into trouble with their trades. Press the “reset” button on the last 12 months of trading. 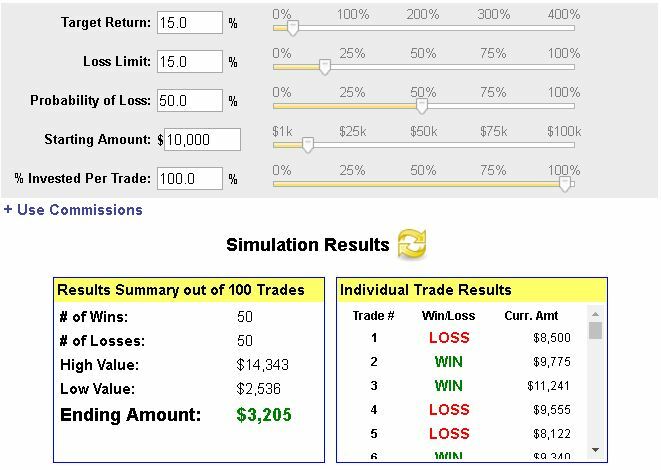 Take only the losing trades and instead of what you DID lose… only take losses of 2-5% or less. 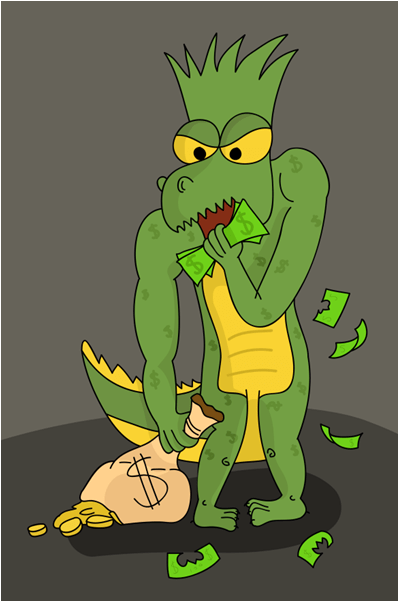 Enhance some of the winning trades with the “Income Methods”. If you could lose less, totally skewing your expectancy… would it have made for better results than you’re currently getting? ….EVERY SINGLE ONE of participants in most of our webinars agree that they would perform better. 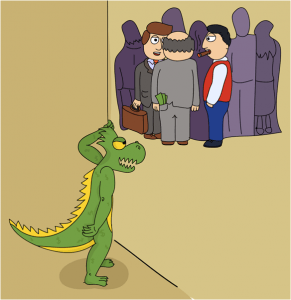 Of course we do get a few dissenters in some webinars, but most everyone says yes. Without changing a thing about what stocks they’re picking, and without changing anything about how they read charts and indicators. Look it over for 30 days. Then I double-dog DARE you to part with it! Most folks won’t send it back, and a number of readers have said that they have a special place on their nightstand or next to their computer. Of course every refund request (the few we do get) is quickly and cheerfully handled. We just don’t get a lot of ’em. Come to the Webinar. In three simple questions, you’ll know if you’re in the right place. 96% of the folks that come agree that the knowledge in The Blueprint is what they need to succeed. Add to the Conversation. After learning about RadioActive Trading, you’ll want to use the included support. The Blueprint isn’t a book of pages and ink… it’s a community. And you can count on the publishers and users of RadioActive Trading to help you on your journey. Okay Traders! Hope you’ve gotten the value you hoped in this short treatise on risk, reward, and most importantly… skew. Feel free to share this material with your friends in the trading and investing communities. If I can help you with your journey to trading success, please get in touch.